A beautifully presented, clear concise text and excellent photographs to support the text. Well bound…enough to make the scanning of the pages somewhat difficult so sorry for the blurry edges on some of them. Good quality glossy paper, A4 size. 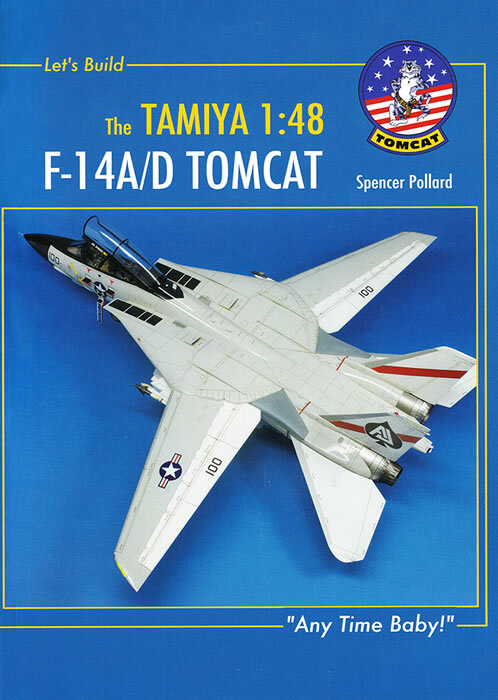 The Tamiya F-14’s are awesome kits with few faults if any but this book that will certainly help you deal with any issues you’re likely to find and helpful hints on lifting your finishing techniques to a new level. 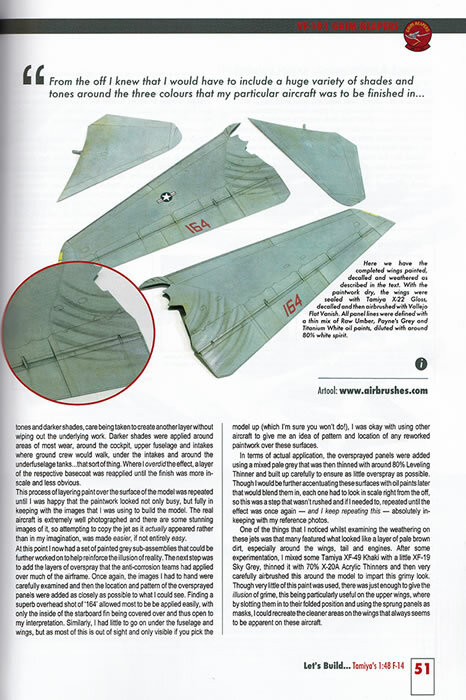 I already have the Sea Fury book which is excellent and I have referred to and found useful in the build of mine, so getting this new ‘How to Build’ series book is quite exciting. Spencer approaches these three builds in different ways. 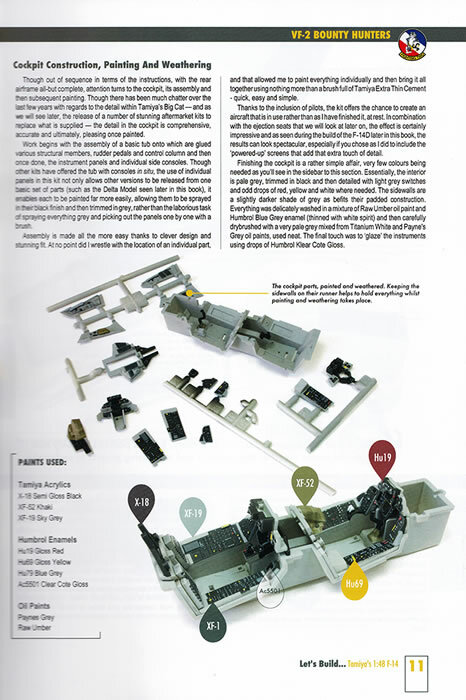 The first build is basically an Out of Box build that runs through the construction process clearly, giving pointers all through the process, both building and finishing. I like the way he intermixes the photographs and the paint callouts for Tamiya and Humbrol paints as in the example page 11 I’ve scanned. 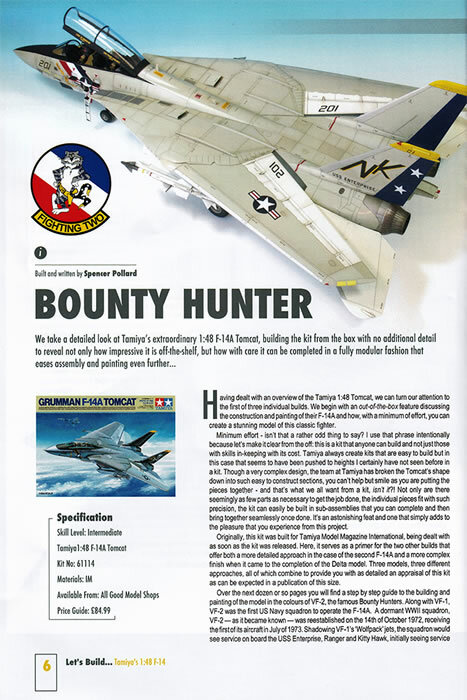 This aircraft is a VF-2 Bounty Hunters aircraft in the hi-vis gull grey over white with bright blue trim. 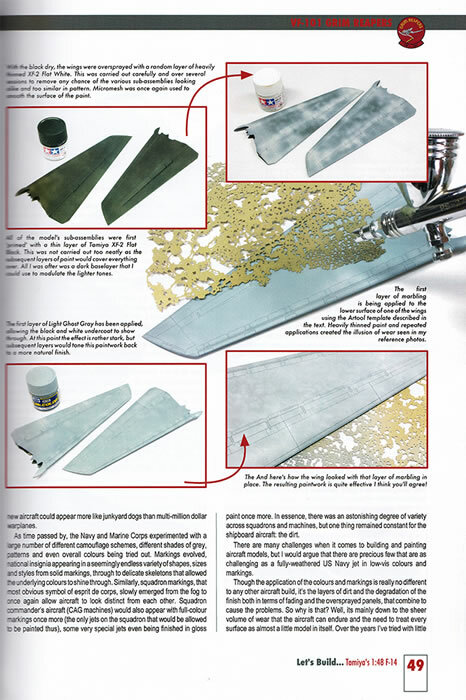 Spencer then follows up with another F-14A build, but this time trows a pile of Eduard Brassin resin into the mix. He explains and demonstrates how to elevate the level of detail and accuracy to a new level. His detailing of the addition of the Brassin cockpit and the results are stunning. 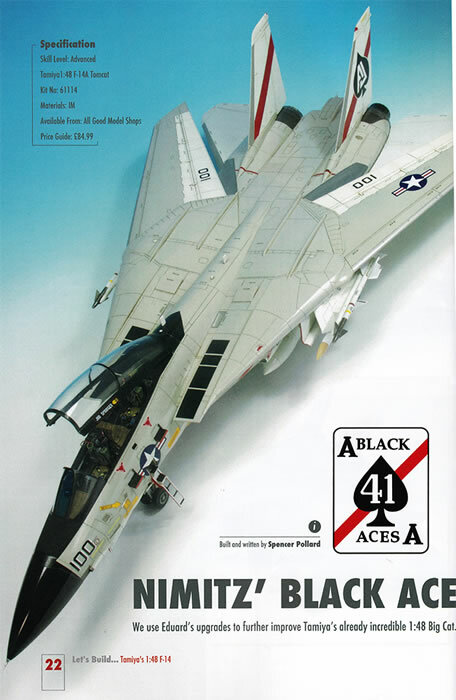 Again it’s a hi-vis paint job for VF-41 Black Aces. 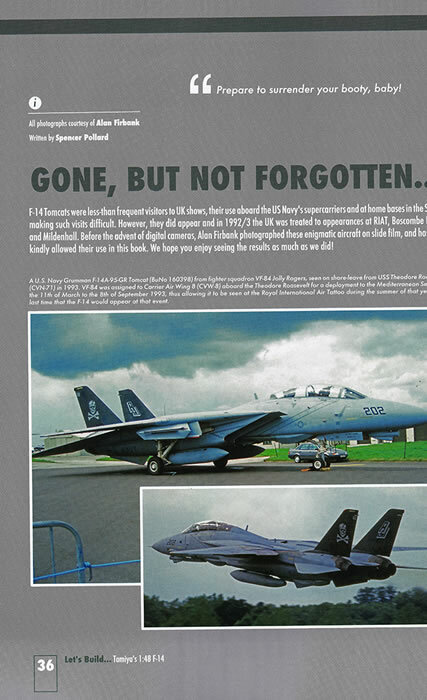 Just for a change Spencer has then thrown in a section of photographs of real F-14’s from their 1992 visit to the UK, with the photographs taken by Alan Firbank with good old film…for those that can remember that. 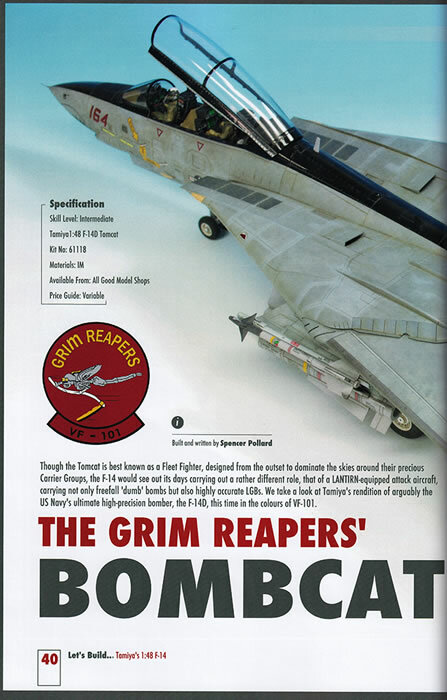 The final build is that of the Delta version Bombcat. This is a low-vis, all over grey aircraft with black tails and spine. Built from the box, Spencer spend a good deal of the build discussing tactical schemes and giving options on producing a great weathered finish. 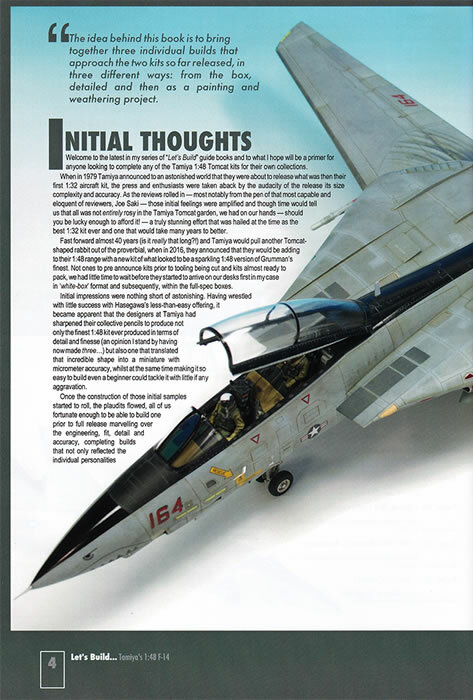 He introduces the Artool FX texturing templates which help give that mottled look often seen on the Tomcats. I was so impressed with his approach, I since gone out and purchased a set to experiment with. 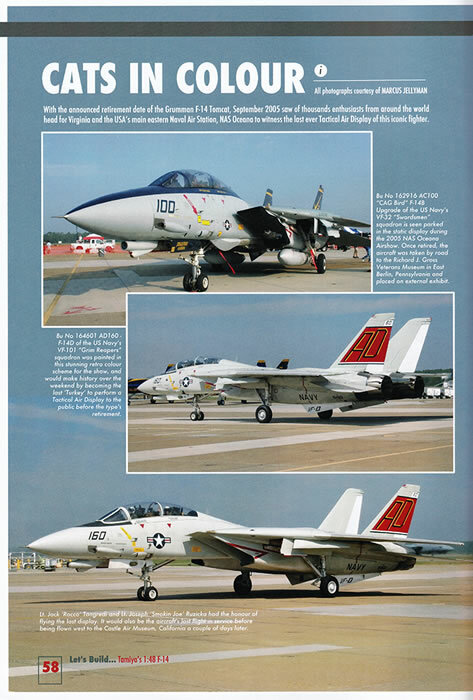 The book closes with several pages of nice photographs of the Tomcat’s final Tactical Air Display in September 2005. 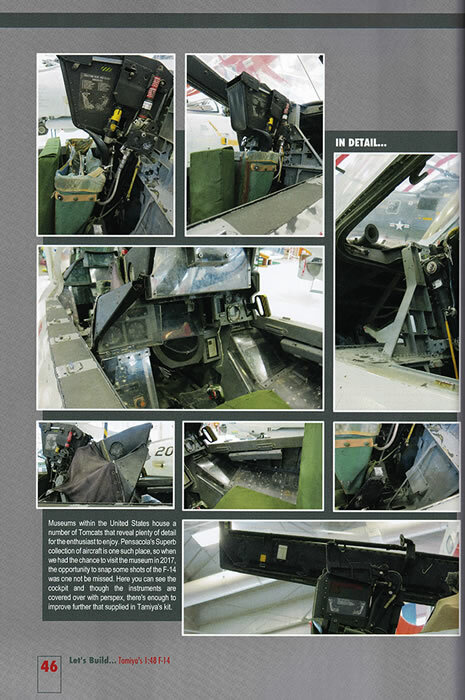 Some excellent reference photos of the mottled, weathered look of the latter aircraft. Please note that this book is currently sold out but Spencer has just ordered another print run. 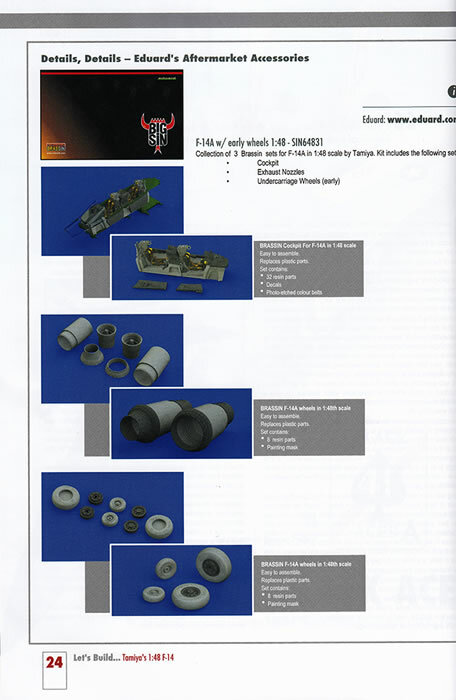 These may be purchased directly through Spencer Pollard through his site ‘The Kit Box’. 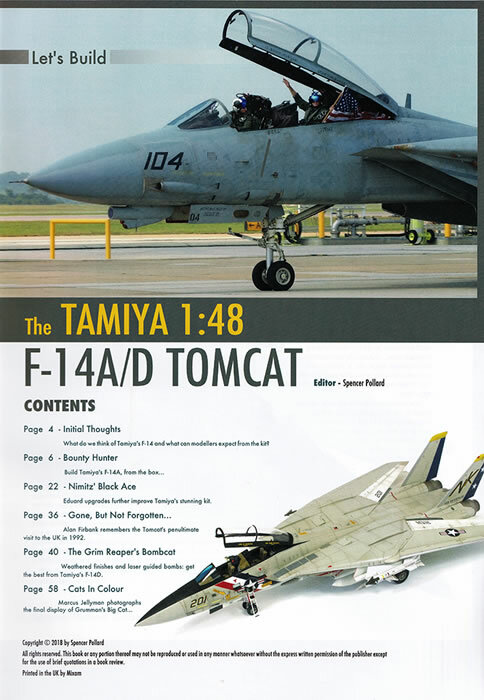 All in all a very useful publication with many tips, on building, painting, weathering and presenting your Tamiya F-14 A or D Tomcat. I’ll be looking out for his next publications to add to my library. Highly recommended. Thanks to Spencer Pollard for the review sample.